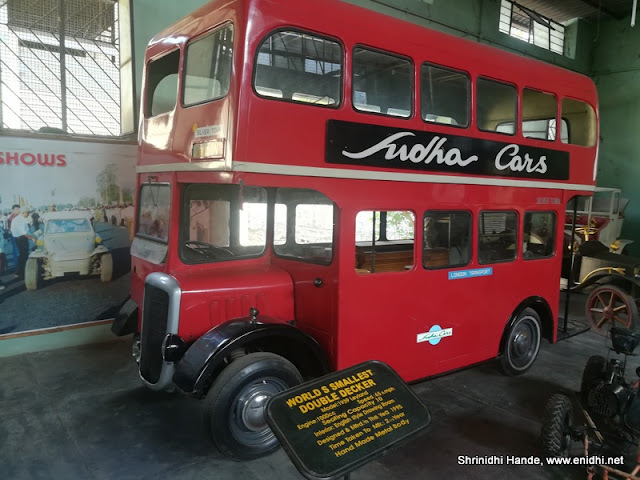 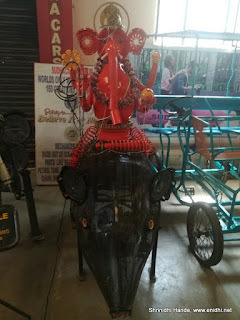 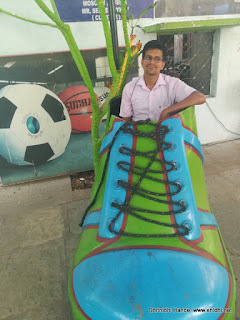 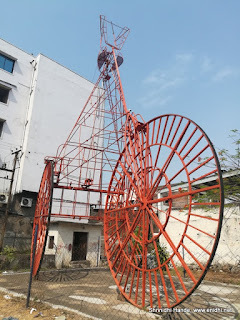 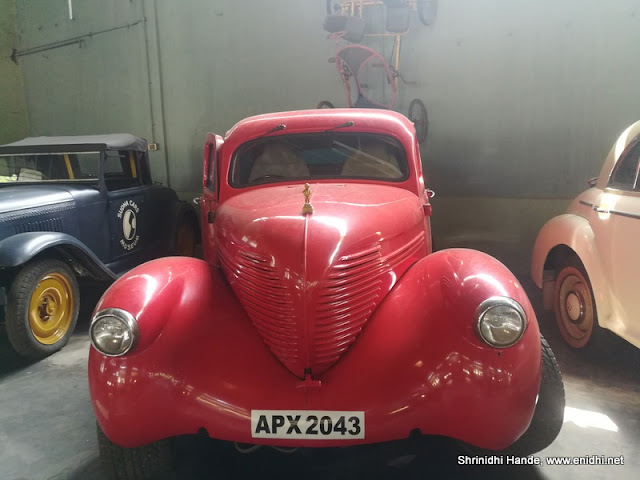 Sudha Car museum is one place I wanted to visit since long. Had seen a post on Swati & Sam's blog earlier but it took me a few years for the Hyderabad visit to materialize. Last weekend, made time to visit Sudha Cars Museum. 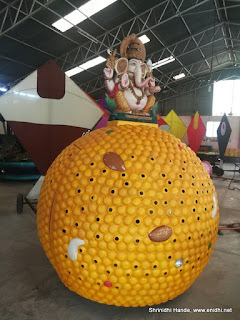 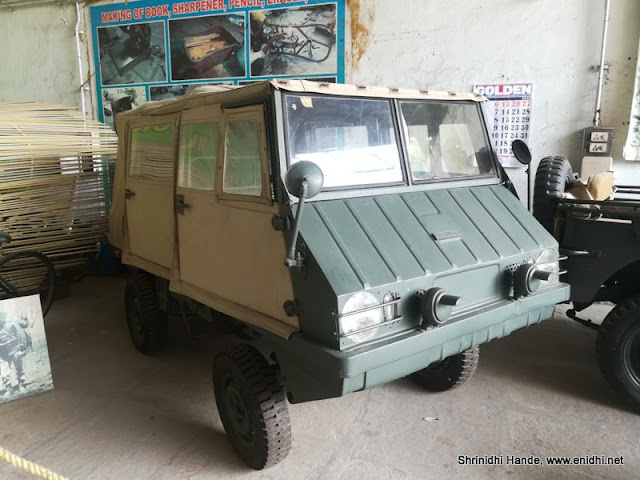 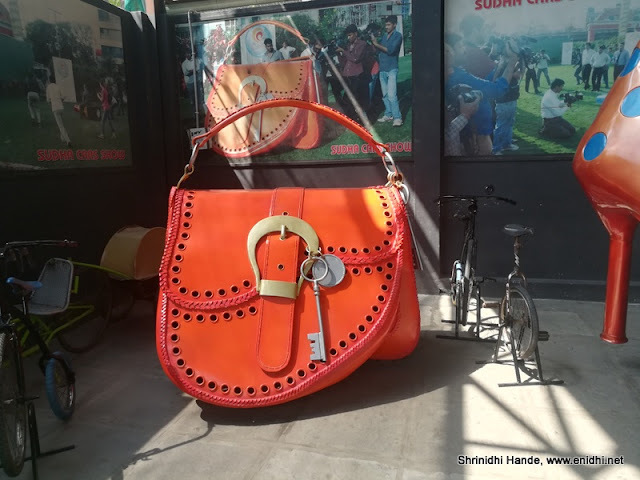 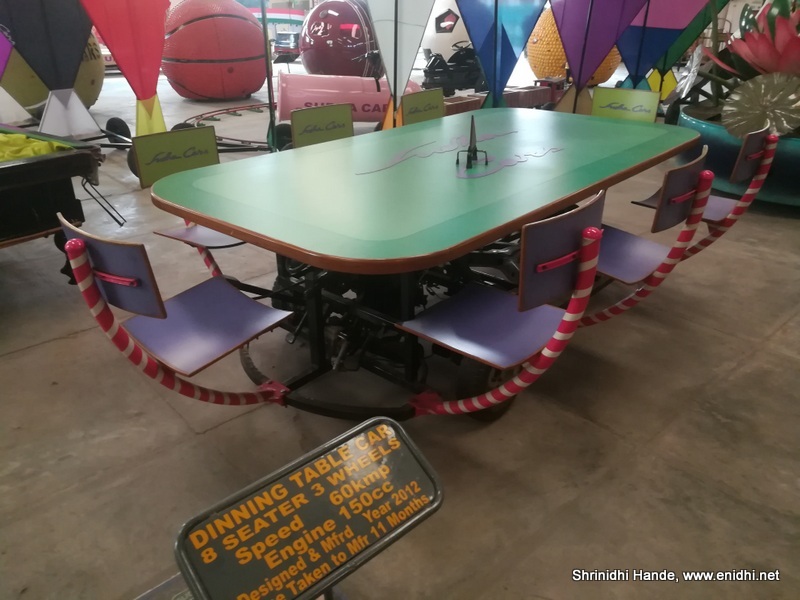 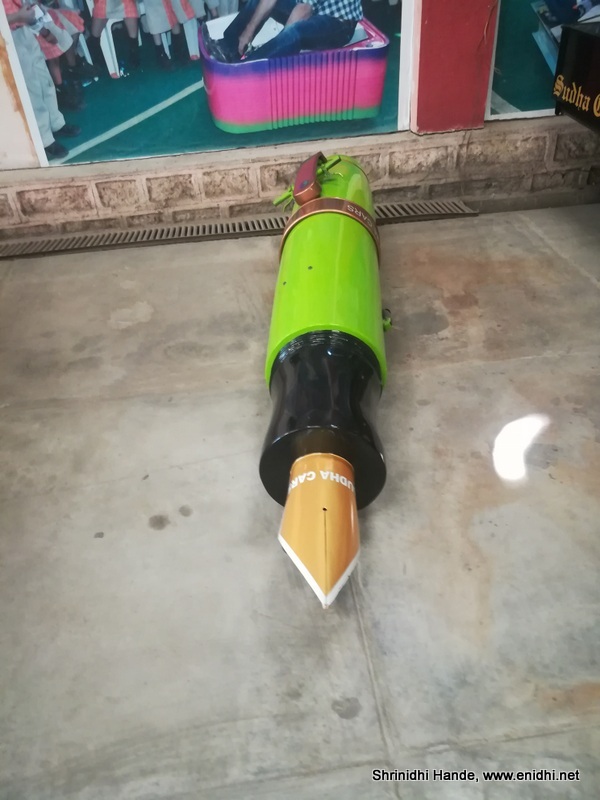 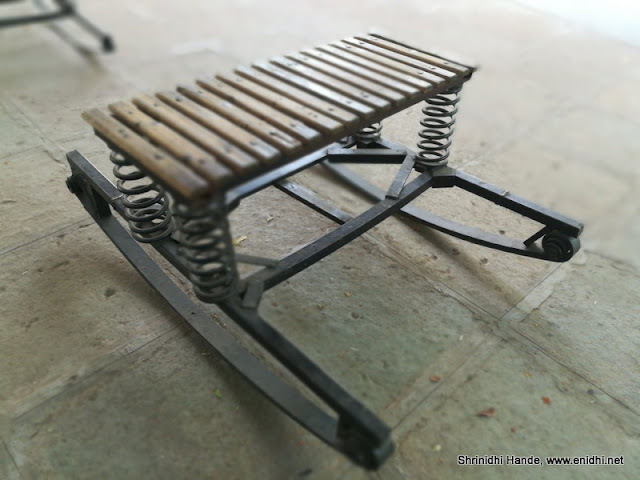 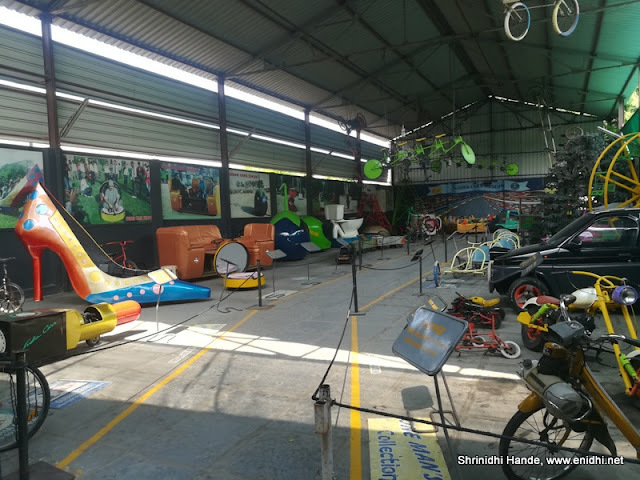 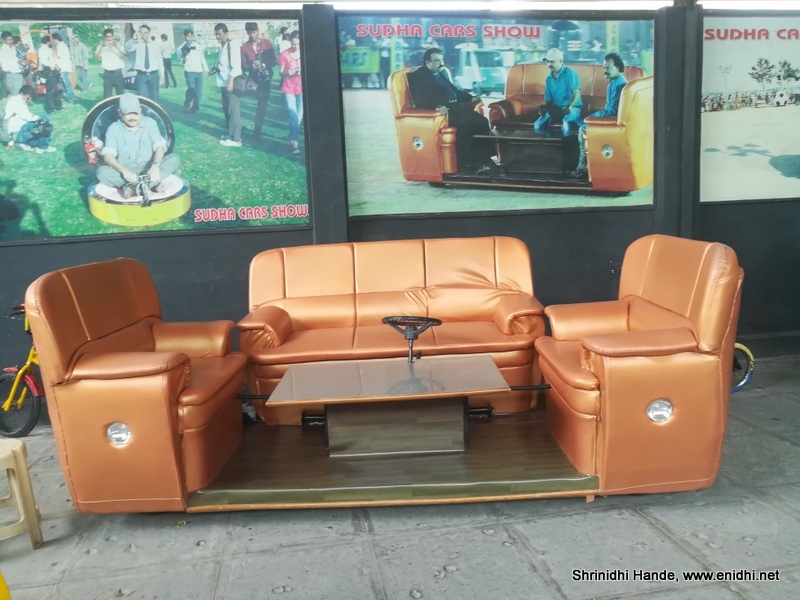 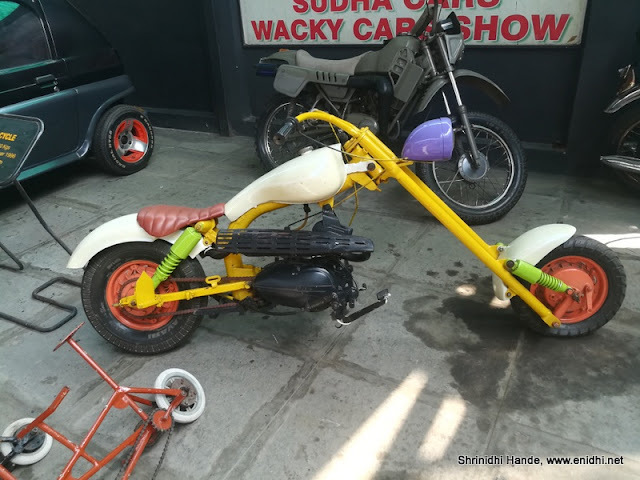 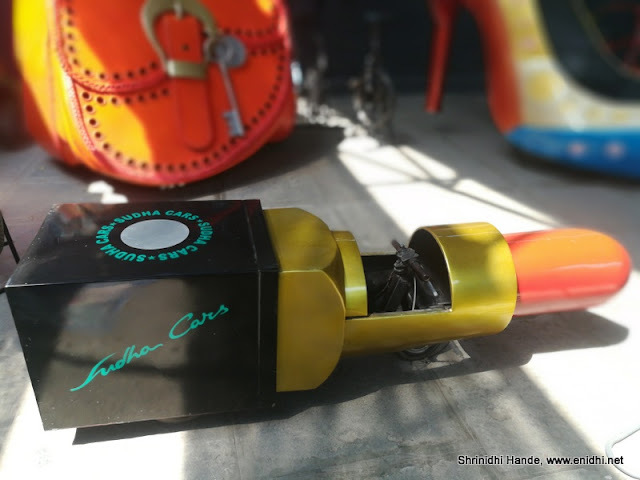 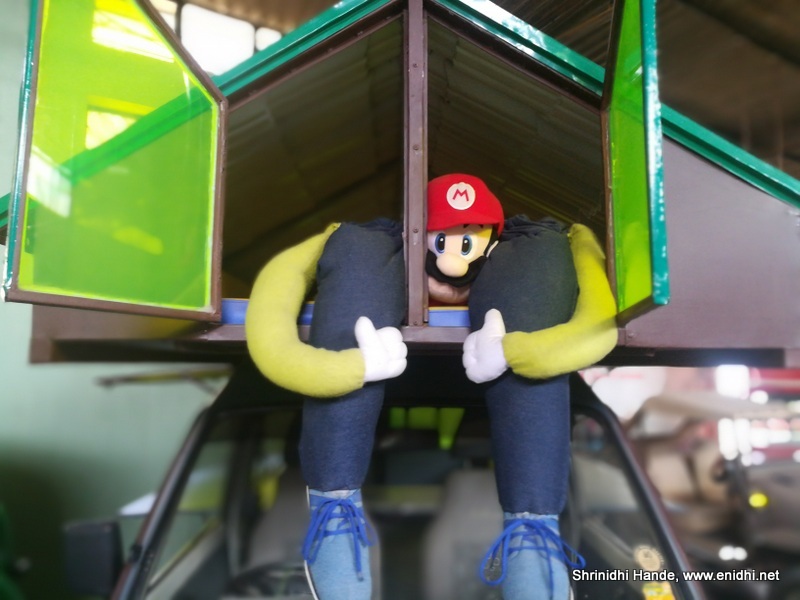 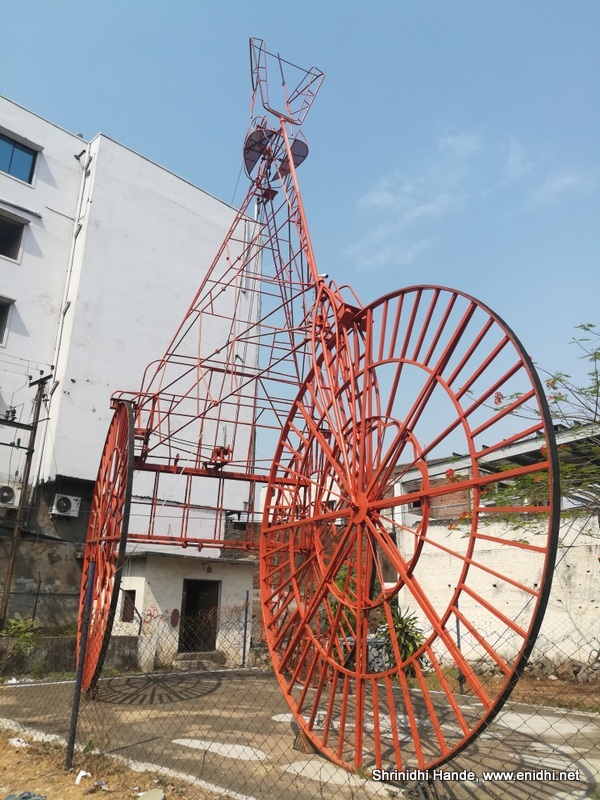 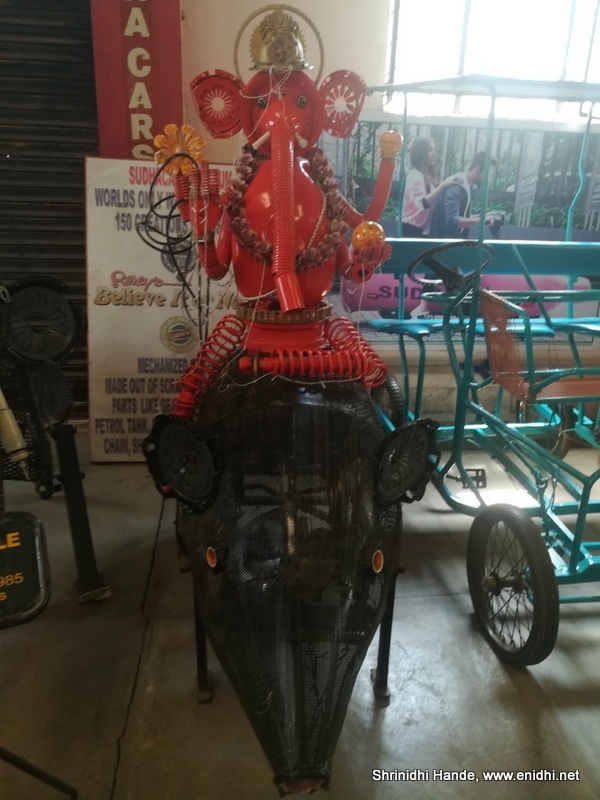 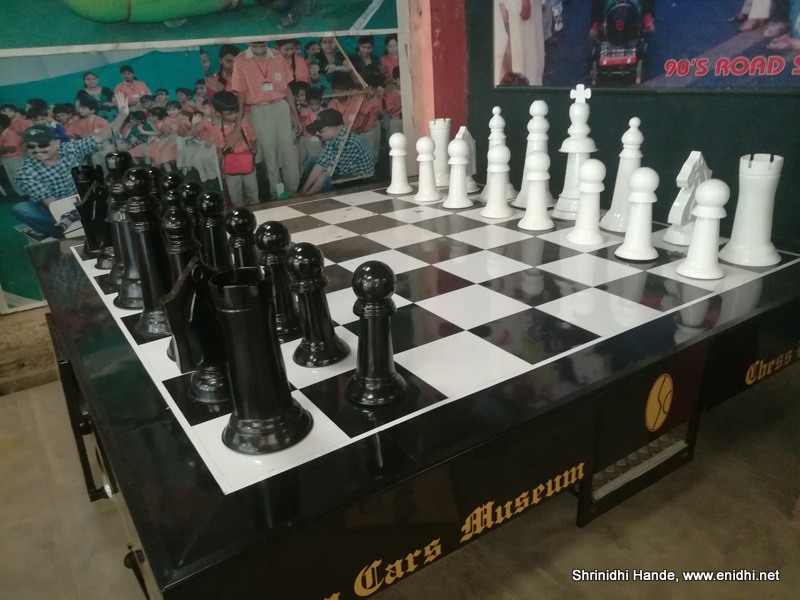 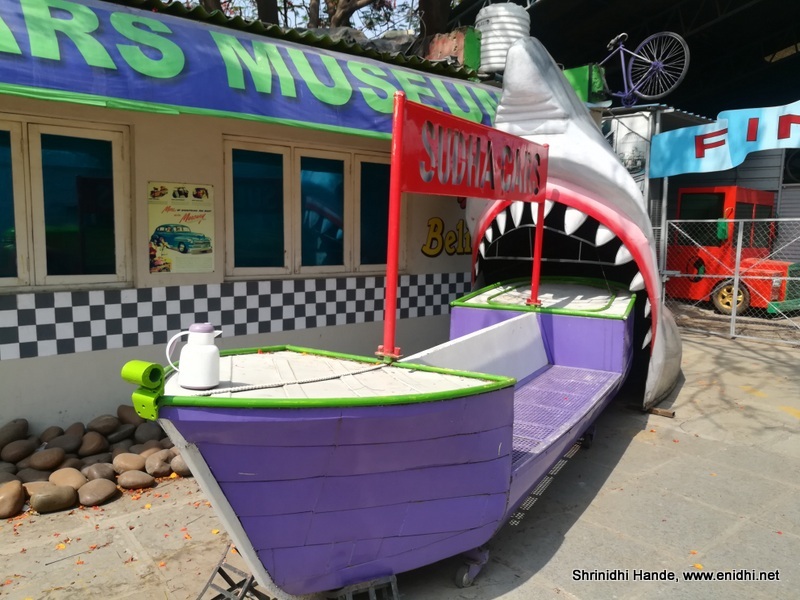 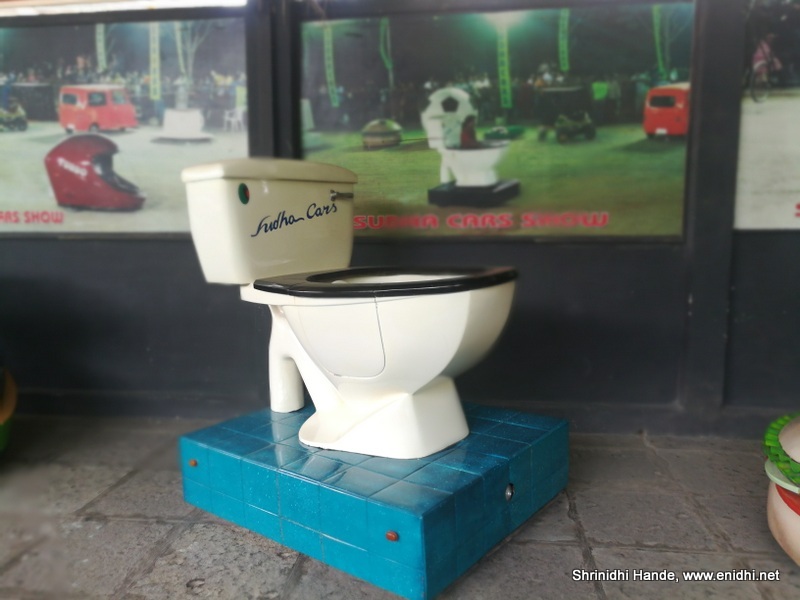 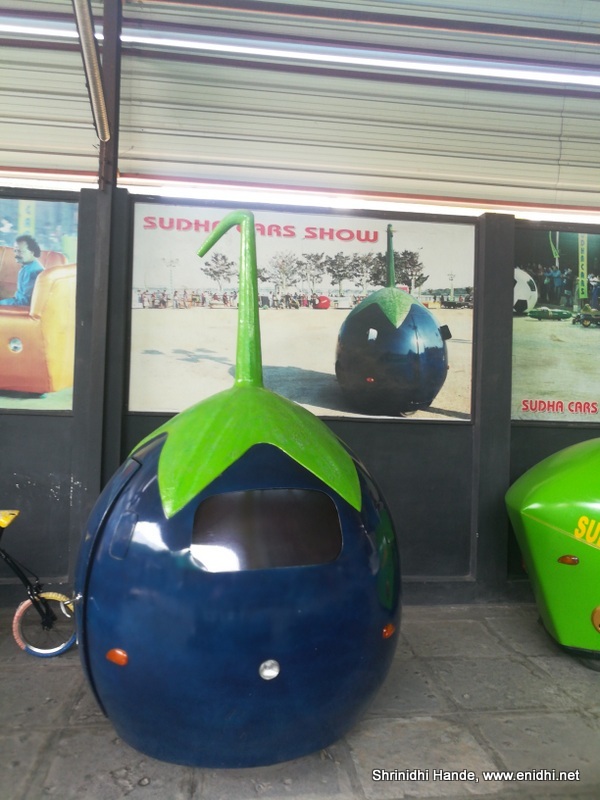 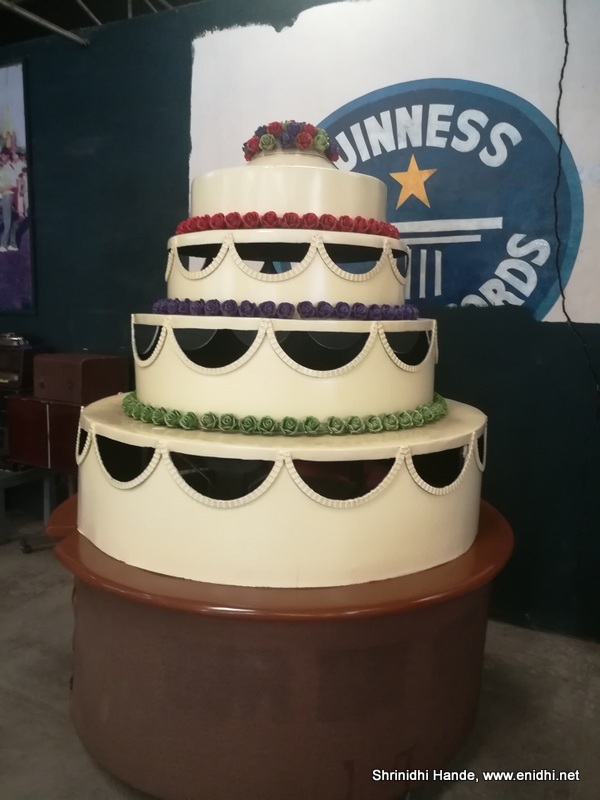 Sudha Cars Museum is started by K Sudhakar Yadav, who has mastered the art of building cars that are quite unusual or wacky. 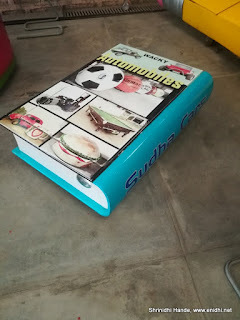 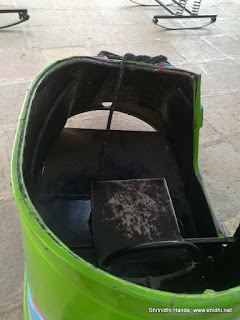 Everyday objects like camera, cricket bat, sofa, brinjal, pencil eraser, sharpener etc are converted into cars. 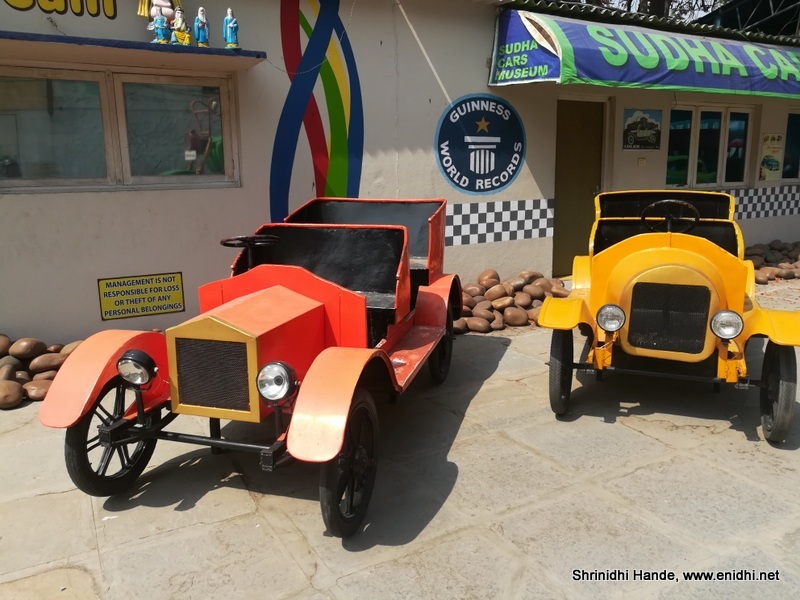 In the museum visitors can only see them from a distance, but I understand once a while they also conduct car shows, during which visitors can see these cars in action- Mr Sudhakar himself or a trained staff driving these cars around. 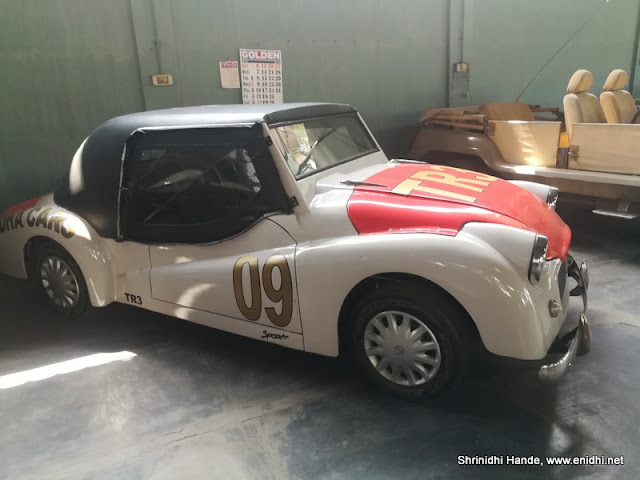 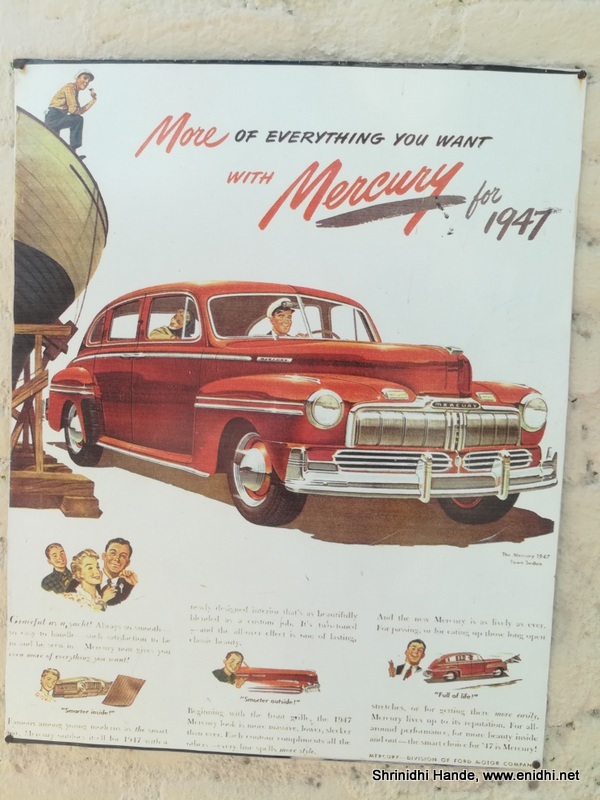 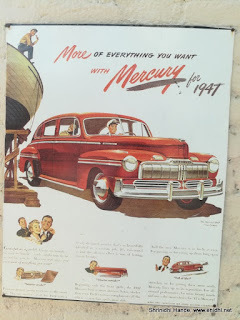 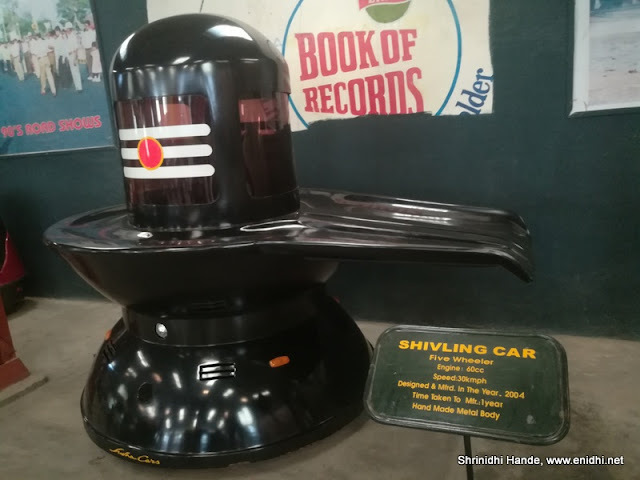 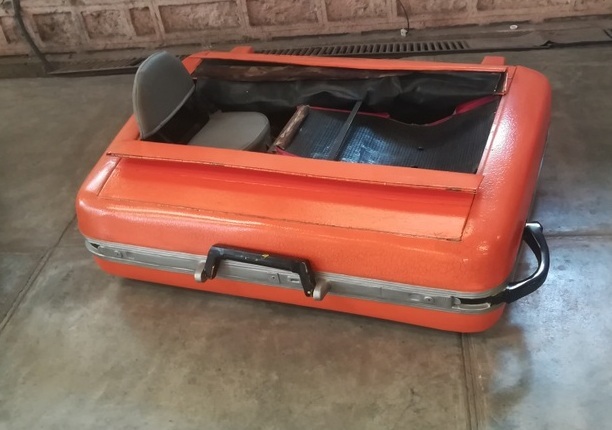 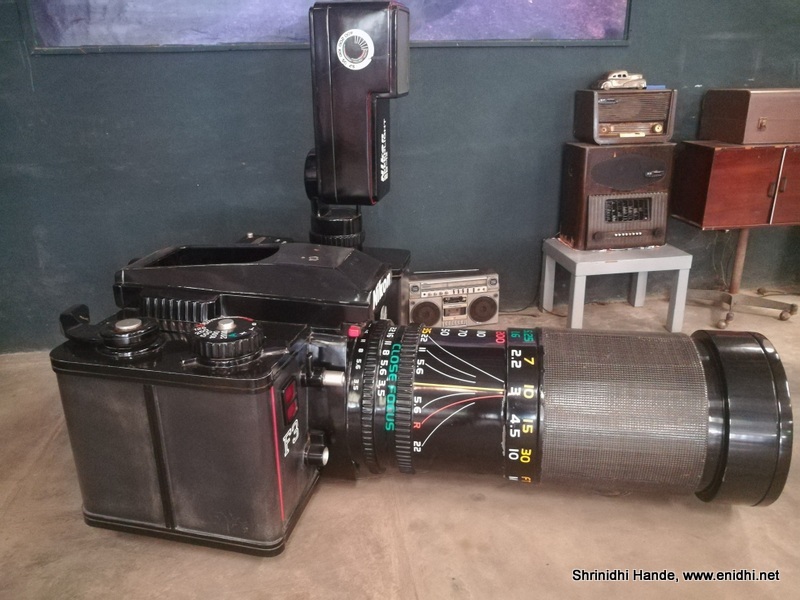 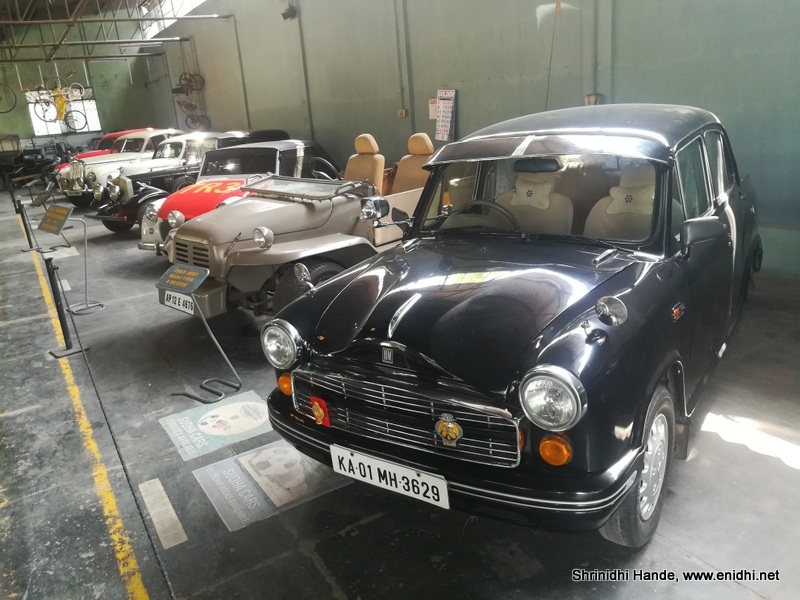 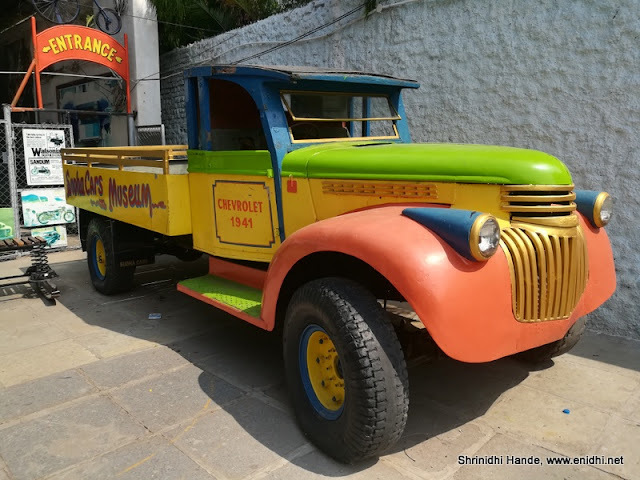 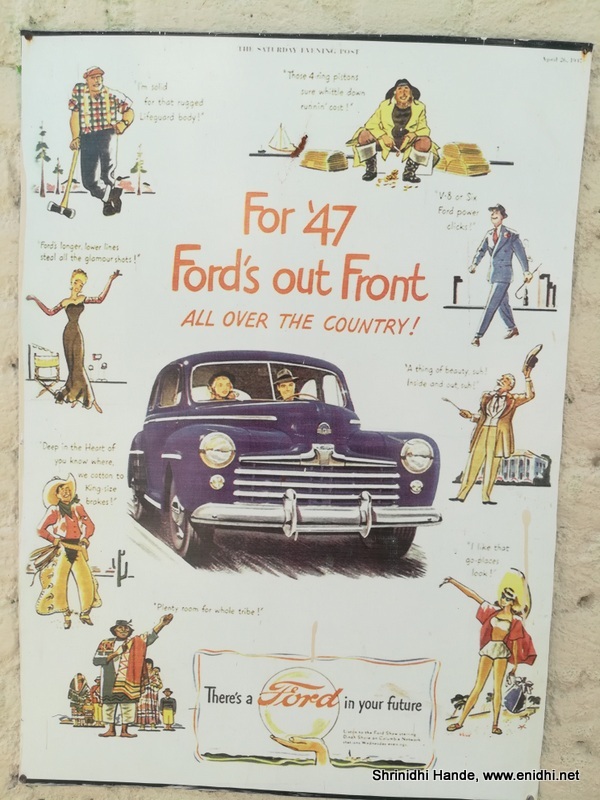 Of course practicality is a different thing- most cars work- they can be driven around, but often are not practical- but that is fine- there're many practical cars out there, visit Sudha's Cars museum for unusual collection of cars. 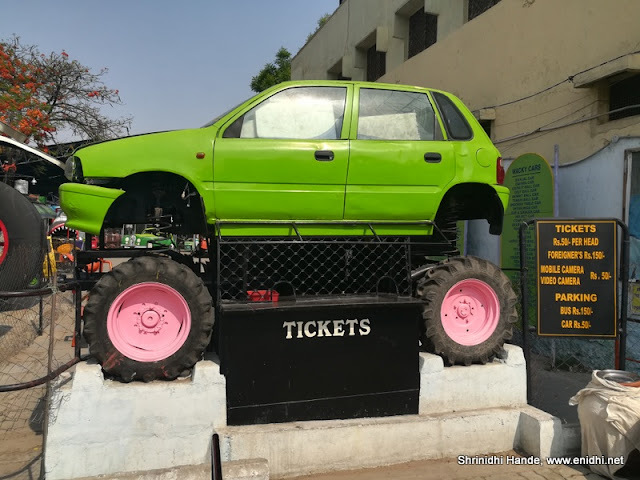 Upon entering the gate we see 3 things- a giant ford sedan (we can't go inside), a gigantic cycle and a offroad ready maruti zen which is actually the ticketing booth. 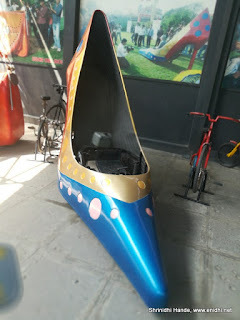 The cycle is functional- can be peddled by 2-3 people. 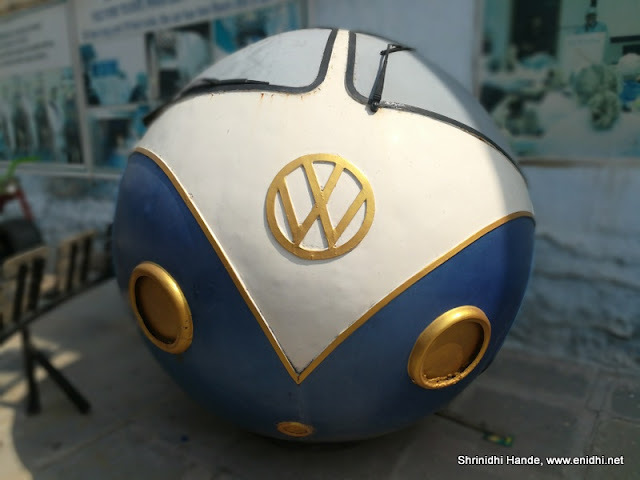 Once inside, you will be greeted by a ball with VW logo and few more vehicles- like the bike shown above and trucks shown below. 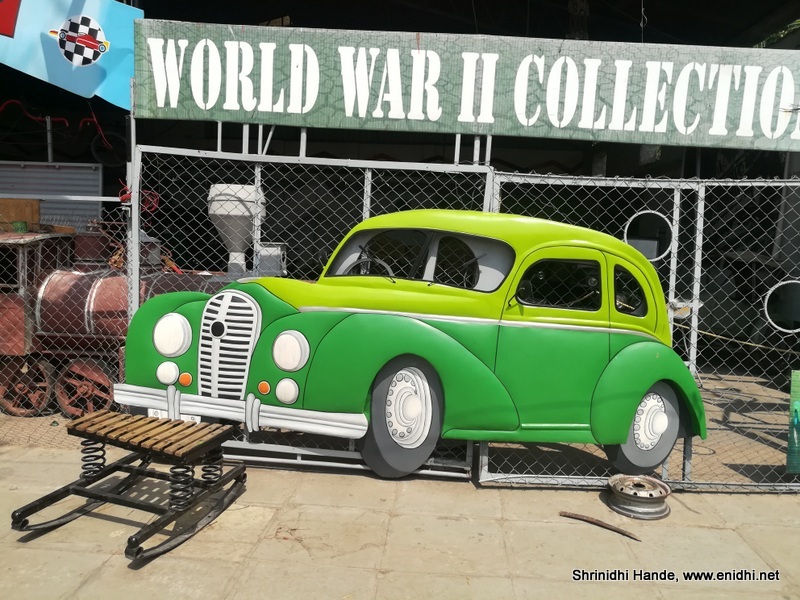 Next section is world war 2 collection- some old bikes, cycles and jeeps reportedly used in world war 2. 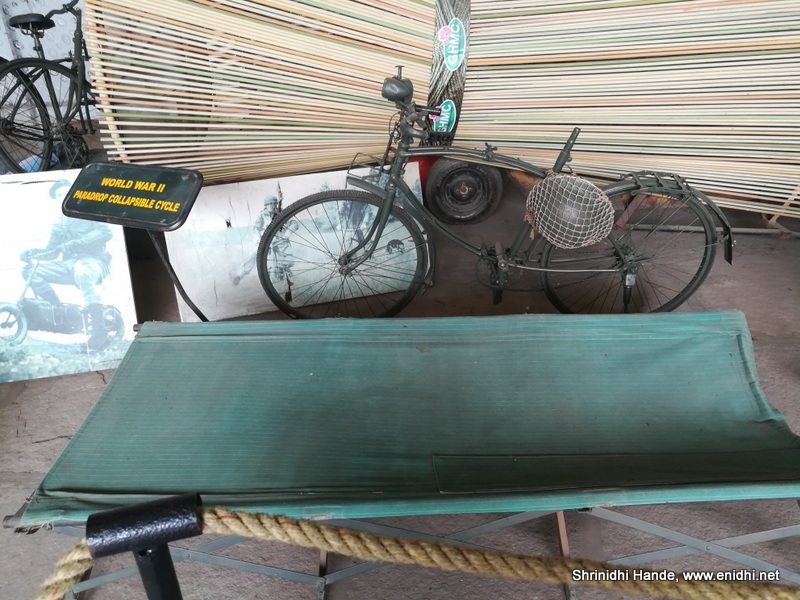 The paratrooper's cycle was good to see. I felt a more spacious and informative display would have been nice, but I believe they've done their best within available space. 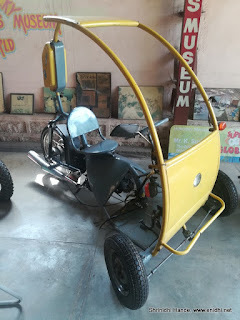 Most of these cars are powered by small 50 or 100 cc bike engines and can move in around 30-50 kmph speed. 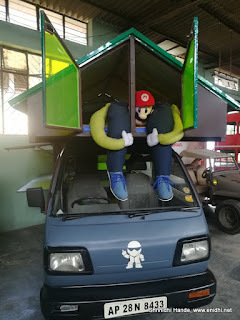 The controls are also peculiar. A display exists next to each model showing key details. Visitors can buy a CD which claims to have more details about each cars. CD costs Rs 100. There're dozens of different models on display, I've only included most interesting ones. 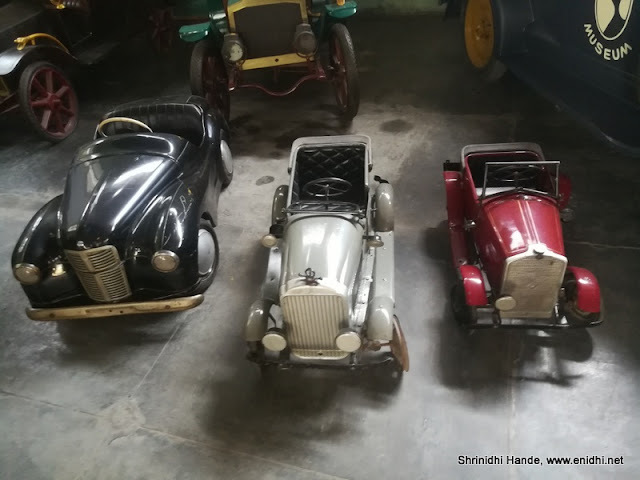 We move to next hall which had lots of vintage cars on display- scale down models of some cars, vintage rolls royce, race cars and so on. Be sure to look up, as some bikes and cycles are hung from the roof as well. 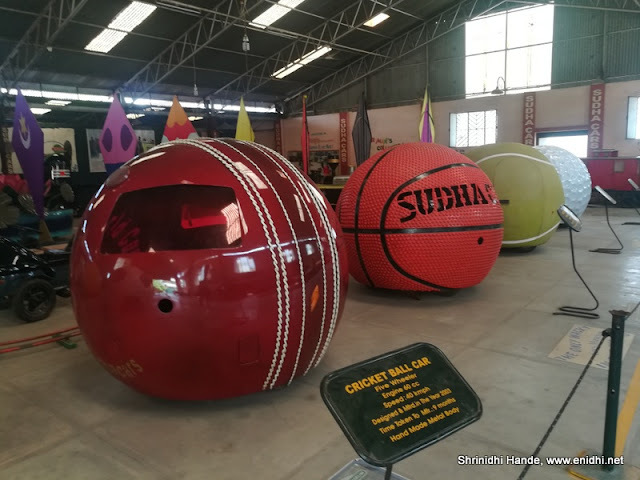 Cars made in cricket ball, basket ball and various other balls! 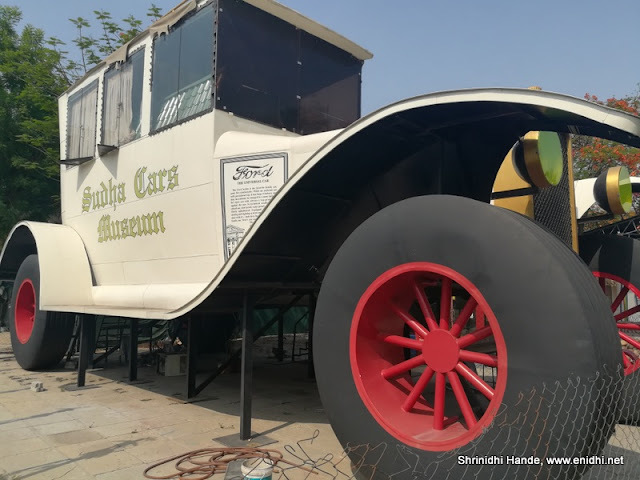 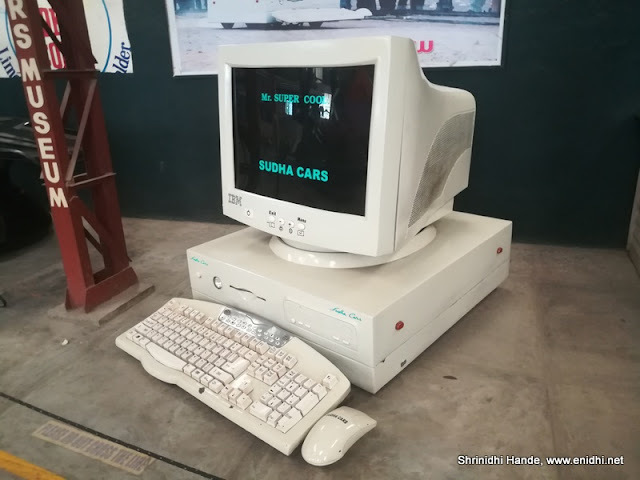 I can clearly see that Sudha Cars Museum is running out of space. 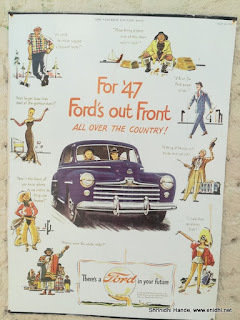 They should try shifting to a more spacious camps where cars can be displayed better, with more space between them. 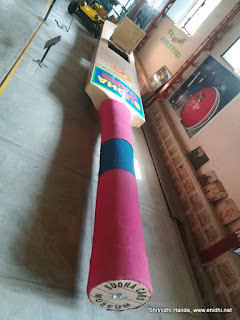 Current hall is non AC- an air conditioned space will be more comfortable for visitors. 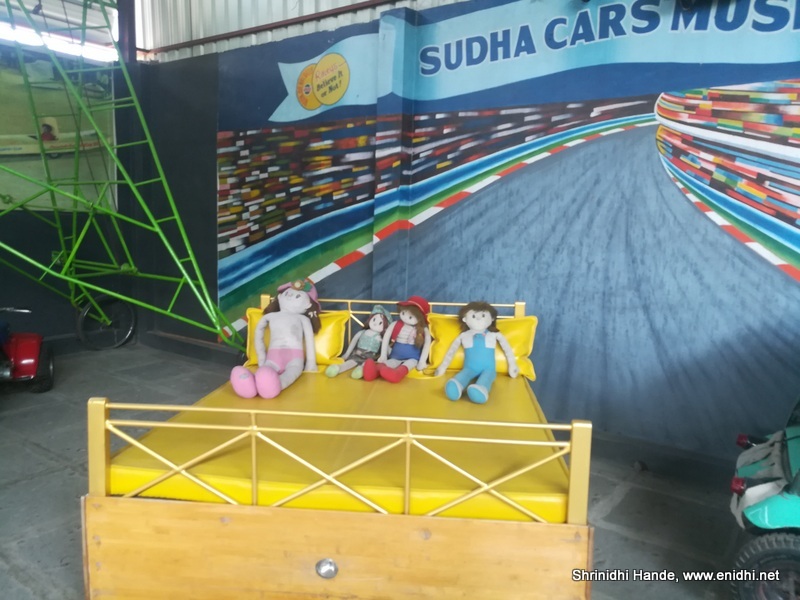 Overall the time spent in the Sudha Cars Museum was totally worth it. 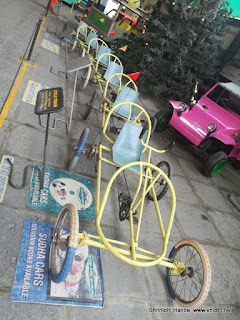 It would have been great if there was a provision to drive at least one or two of them. They could let people with driving license try out at least a few cars- would have significantly boosted the experience than merely looking at the cars. 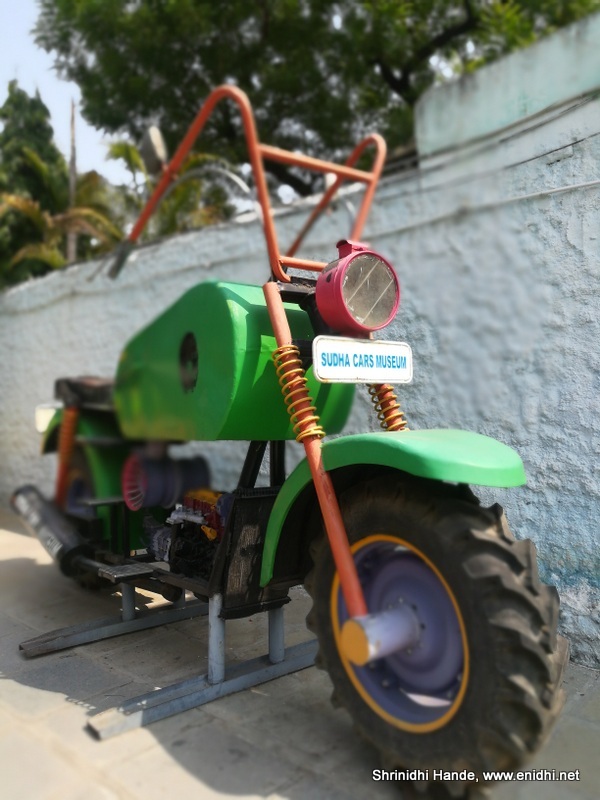 Also, I couldn't see Tender coconut car- add asap! Besides building crazy cars out of passion, Sudhakar also undertakes modifications, custom car building for various purposes. 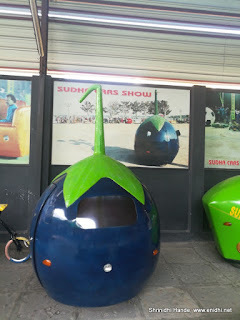 I visited it during the winter holidays last year. 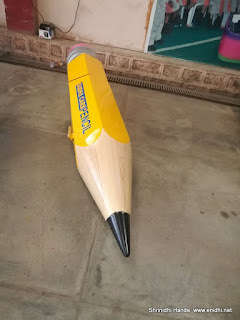 It was a time well spent indeed. 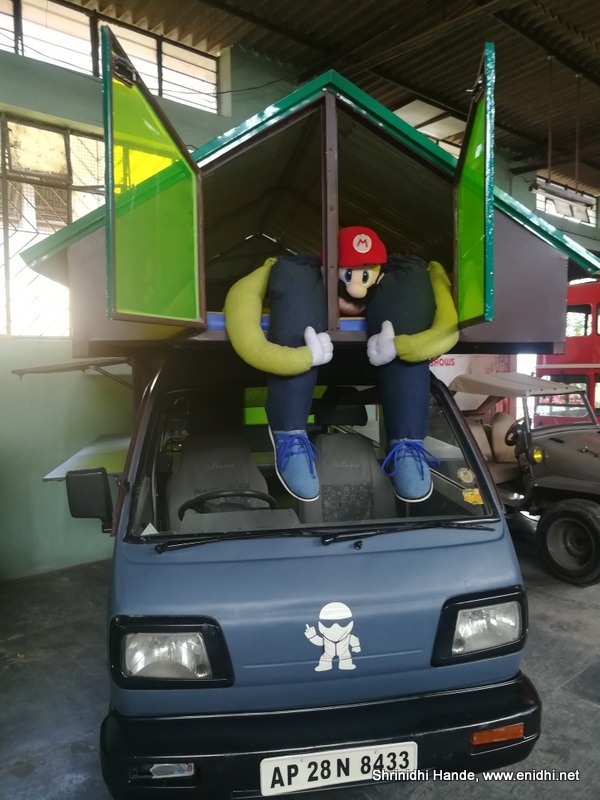 This is very interesting. 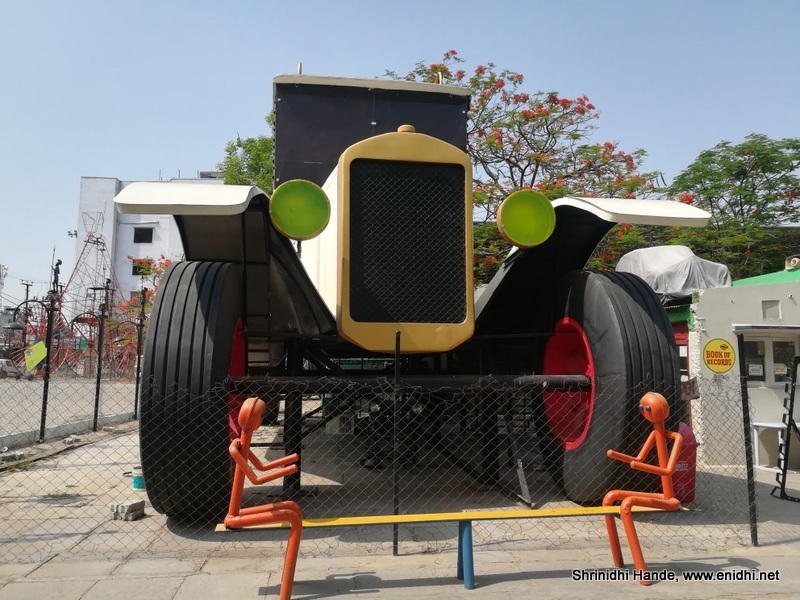 I am sure my sons would love to visit here since they are big car fans.